Many companies look to outsourcing non mission critical elements in a changing economy. Do what you do best and let us do the rest. Certified Staffing Specialists Inc. has an extensive inventory of qualified financial personnel that can quickly satisfy your outsourcing requirements. Why should you use Certified Staffing Specialists Inc. for your payroll services? 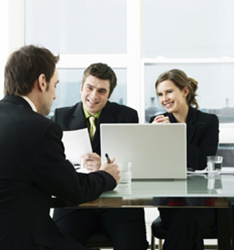 Personalized Service – A qualified recruiter will work with you to ensure the right candidate for every engagement. Competitive Pricing – We guarantee to save you money. We are competitive with other services and offer a less expensive solution to full time employees. Freedom from Worry – Outsourcing frees your time and resources enabling you to focus on your core competencies while we focus on the rest. Fully certified – All our employees are certified to handle all aspects of their specific assignment.